Something old or something new? 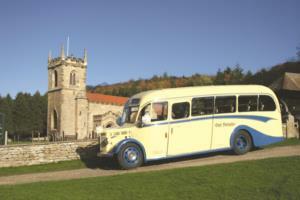 Try East Yorkshire Coaches for your wedding. Make your big day one to remember by hiring one of our vintage vehicles to get you and your guests to the ceremony and reception. 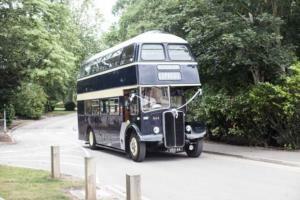 We have vintage open top buses, a beautiful 1949 Bedford OB coach, or a larger 1956 ‘Beverley Bar’ double decker bus. We can even decorate the bus with ribbons to match your colour scheme. If you want something more up to date, we have a range of modern luxury coaches, with 33 to 53 seats. We can also provide 71 seat double deck buses – this can be a really good value way of transporting your guests between venues. For a friendly, no-obligation chat about your requirements, give East Yorkshire Coaches a ring on 01482 222 444. 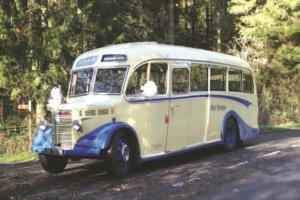 We can give you an idea about costs, and arrange for you to view our vintage buses. 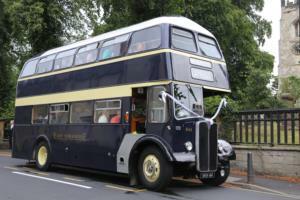 Thank you to the Marsdens, who sent us photos of our Beverley Bar Bus on wedding duty - it got them to the church on time! Congratulations to newlyweds Katie and James! Thank you to Olliver Photography for permission to use their photos. Our Beverley Bar bus bedecked with ribbons, ready to go. Here it is arriving at the wedding. The groom is ready to go! The bride is looking radiant! 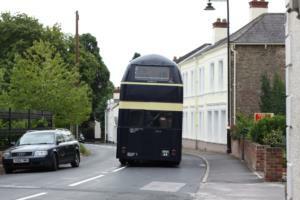 Here's the bus at the church, ready to take the guests to the reception. Not had enough wedding photos? 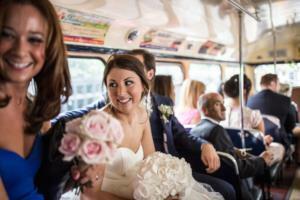 Here's our beautiful Bedford OB coach, one of our most popular wedding hires. 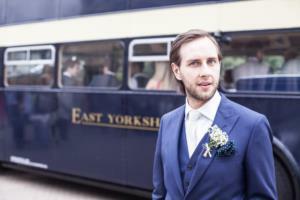 To find out more about hiring a vintage, or modern, coach for your wedding or special event give East Yorkshire Coaches a ring on 01482 222 444. 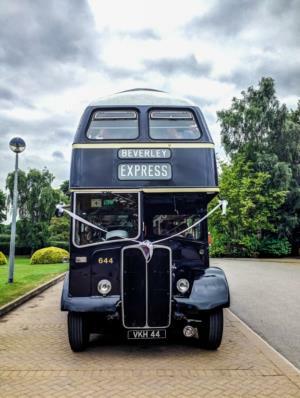 If you hired one of our vintage buses for your wedding we'd love to see the photos! Please email them to us at updates@eyms.co.uk , or send them to us via Twitter or Facebook.